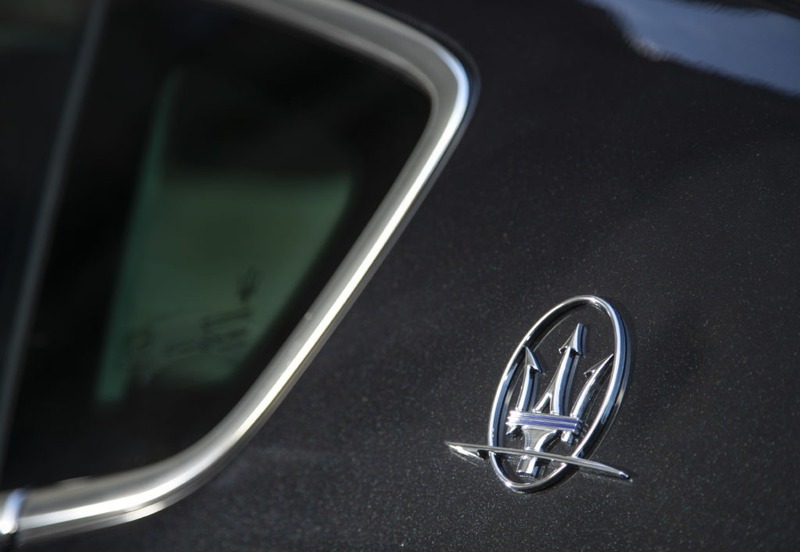 Getting behind the wheel of a Maserati is a special experience. There's a mystique behind that iconic 'Trident' emblem that few manufacturers can match. Purists might argue that the Levante is just another big SUV and therefore misses out on the Maserati magic. Get up close and personal with this epic 4x4 and it's clear that there's plenty of that essential DNA present. The Levante has been on sale since 2016, but new for 2019 are various upgrades and options, plus a third engine choice. Boasting 345bhp, the new petrol unit slots in between the 271bhp entry-level diesel and flagship 423bhp petrol. Fire up the new Ferrari-derived 3.0-litre V6, put your foot down and you're in no doubt that you're driving a car worthy of Maserati's rich heritage. The engine soundtrack is glorious enough, but the combination of the beautifully finished, luxury interior and imposing road presence visibly sets it apart from its competitors which include everything from the Range Rover Sport to the Porsche Cayenne and BMW X6. The Levante is one of the relatively new breed of performance SUVs that defies physics. Back in the day, large 4x4s were a handful when driven in a spirited fashion - all wallowy and rolling alarmingly in fast corners. Despite its muscular proportions and its weight (2.1 tonnes), the Levante handles well and is surprisingly agile. Thanks to its adaptive air suspension (standard across the range), all-wheel drive, 50:50 weight distribution and lowest centre of gravity in its segment, it feels totally planted and there's an uncanny lack of body roll even on more challenging country roads. Switch to Sport mode and the suspension stiffens up further, while the eight-speed ZF auto box gets aggressive. Even though it's a big car and you're aware of it behind the wheel, it's easy to drive and the new electric power steering system is suitably precise. Traction is superb and it's deceptively fast, reaching 62mph from standstill in just six seconds. Before you know it, you're beyond the legal limit. The howl of the V6 is intoxicating at lower speeds and the mind boggles as to what it sounds like when it tops out at nearer 156mph. The downside of all this power is that CO2 emissions are 268-278g/km, while fuel economy is 20.7-22.49mpg. However, you don't buy a Maserati to dwell on emission levels - these Italian thoroughbreds are all about performance and the sheer enjoyment of driving. You can choose between the basic Levante, which starts at £58,370, or opt for the GranSport or GrandLusso (accent on luxury) specifications. There's also a Nerissimo Edition which embraces the Levante's dark side, clocked in black paint and black chrome on everything from the grille frame and Trident to the exhaust tips. I tested the Levante GranSport in stunning Nero Ribelle body paint with an opulent cabin that oozed black and red leather. Powered by the new 345bhp petrol engine it has a competitive starting price of £69,245, bumped up to £82,790 in my case thanks to liberal ticking on the optional extras list, including £1,500 for the premium 900-watt Harman Kardon audio system and the £1,600 driver assistance pack which gives you safety essentials such adaptive cruise control and traffic sign recognition. 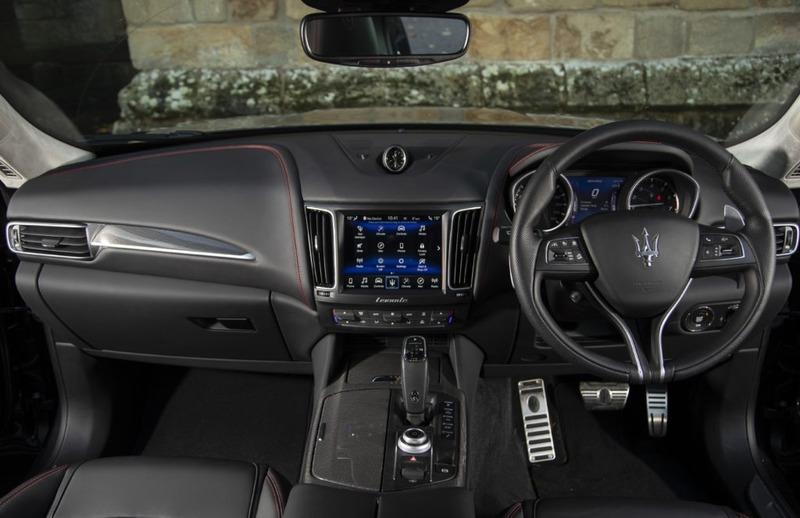 The cockpit of the Levante is spacious, plush and comfortable with a commanding view of the road ahead. There's plenty of room for adults behind, plus the luggage capacity of 580 litres is more than enough for most. No car is perfect though, and the Levante is no exception. Some of the switchgear and interior surfaces do not feel luxurious enough, the modestly-sized 8.4-inch touchscreen isn’t up there with the best in class and Maserati frustratingly persists with a single column stalk for wipers and indicators. Marketed as the “Maserati of SUVs”, it shouldn’t be forgotten that the Levante is also a versatile beast. It will never be a match for the legendary off-road capability of a Range Rover, but it can still cope when the going gets tough. It has an off-road mode offering extra ground clearance and three specific settings (gravel roads, deep snow and wet grass), while the Hill Descent Control allows a smooth and controlled hill descent on snow or rough terrain without the need to touch the brake pedal. If you want to stand out from the crowd, the powerful yet practical Maserati Levante has gold-plated badge appeal and an allure all of its own in a seriously competitive sector.